This is a beautifully written account of the bitter aftermath of a broken love affair. The book is written from the point of view of Maurice Bendrix, an author and rejected lover of Sarah, a married woman living across the common. He starts his tale with the chance meeting of Sarah’s husband, Henry, walking through the common on a miserable, rainy evening. It is eighteen months since he last saw the married couple and seeing them again reawakens his feelings of hate, which threaten to overflow. He hates Henry, for coming between him and his lover. He hates Sarah for leaving him. But most of all he hates himself for pushing Sarah away with his jealousy and anger. However, don’t be put off, the book is not all about hate and bitterness. These emotions are complicated and as the story unravels, and we get to know the characters, we learn the reasons behind these negative feelings. Bendrix describes his and Sarah’s first meetings and the times they were happy, lying together in bed. He then explains how everything went wrong, how his anger and jealousy began to drive them apart. Aside from these strong emotions, this book is also about love, even if it is doomed from the beginning. Even months after the affair is over, Bendrix still feels pangs of jealousy when he believes Sarah is seeing another man. Desperate to learn the truth, he hires a private detective to watch her movements. Had she been seeing someone else while they had been together? When the truth is finally revealed, it’s not what Bendrix expects, but he is still no closer to being happy. A book about hate, jealousy, love and faith, wrapped up together to create a sad and cheerless story, it is certainly not one to save for your summer holidays. However, you can’t help but be pulled into the narrative. Graham Greene has such skill as a writer and manages to create three, if not loveable characters, very human characters, who you can not help but pity. Graham Greene is one of the most under-appreciated authors of the 20th century. I agree! 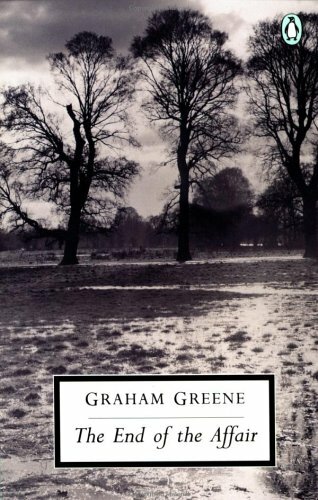 I’ve only read three of his books and so far I’ve found he is a very varied writer so I can’t wait to read my next Graham Greene book to see what else he has to offer!